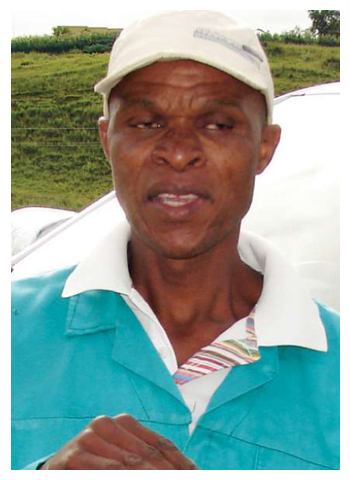 Ndlalankulu was born in 1948 at Matshana area near Wakkerstroom. He grew up on the farm Ogiesfontein near Wakkerstroom. Ndlalankululu's interest in farming started at a young age helping his father on the farm to plant and harvest their maize. 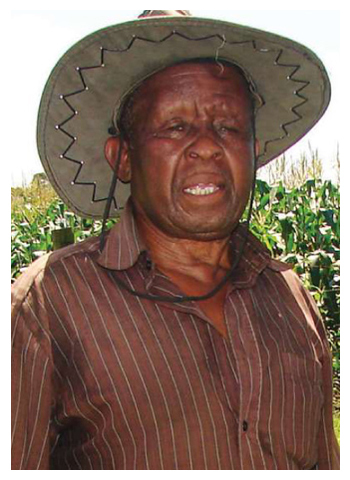 Although he had always worked in Gauteng and other places, he returned home in 2007 and decided to try his hand at planting in the hope of getting enough maize for his household. 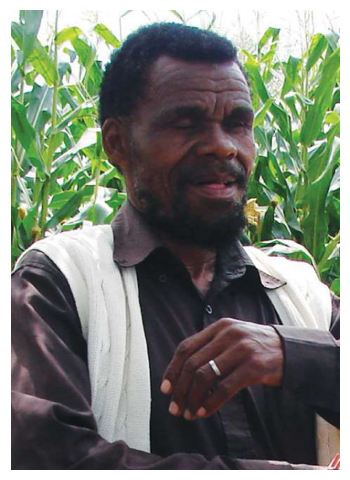 After getting involved with Grain SA he managed to provide enough for himself and had extra maize to sell for an income. Ncamisile was born in Swaziland to Agnes and Alfred Hlophe on 29 January 1958. She is married to Norman Mdluli and they have six children of which four are girls and two were boys. Her love for agriculture developed at a very young age as she used to help her parents when they were planting and she did various chores in the village they lived in. Ncamisile officially joined Grain SA in July 2016, but prior to that she had attended some study group meetings as she was interested in what was happening in the field of agricultural. This hard-working lady attends and participates in meetings regularly and her mentor is impressed with her diligence to put into practice what she has learnt. 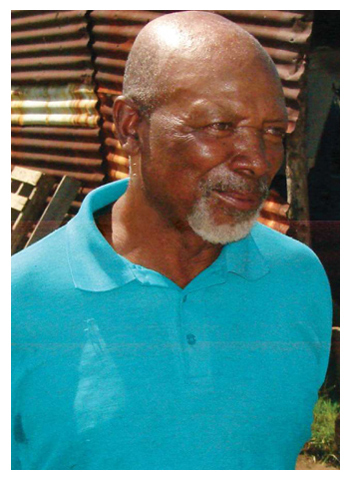 Anderson is a full-time resident of Khanyayo location and was born there on 28 June 1934. He started farming a long time ago, but back then he had no one to mentor him in correct agricultural practices. He became a Grain SA member and began learning a lot about farming. Apart from becoming a farmer he also learnt how to look after the soil so that the structure does not become poor. Unfortunately, most people, especially those who do not have the privilege of having mentors do not look after their soil well. Anderson is proud to be part of Grain SA and is hoping for the best in the future. Jeneth was born on 5 April 1959 at Zandspruit between Ermelo and Piet Retief. She started to gain interest in agriculture when she was still young as her parents worked on the farm. It became clear to her that there was no life without agriculture. 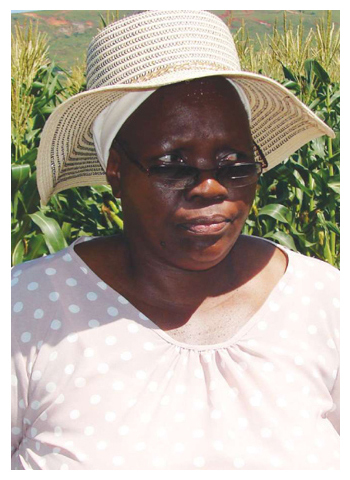 She started farming with maize and cattle with her late husband Simon in 1994. Jeneth joined Grain SA in 2014 and began enjoying farming when she became a study group member of Grain SA. 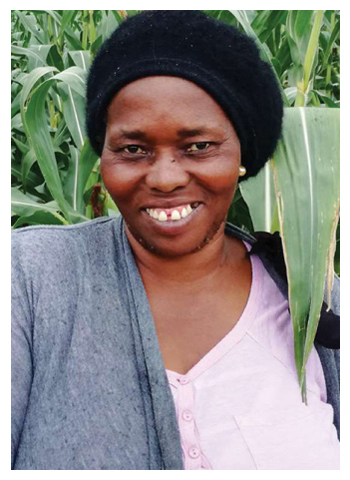 Through Grain SA she was gained the skills and knowledge to farm in a more professional and productive manner. During the previous season, Jeneth managed to produce 7,5 tons of maize for the first time on 1 ha. Victor was born on 19 September 1960 and raised in the village of Dukuza in Bergville, KwaZulu-Natal. He started farming in 2000 and joined Grain SA in 2009, attending training, study group meetings and in 2014/2015 he was part of the Monsanto/ARC pilot project. He has since been part of the Jobs Fund Project. Victor’s desire is to become a commercial farmer. He has considered various options to improve his profitability from producing popcorn maize to value adding like making stamp mealies. Vegetables and fruits also form a part of his farming operations. Thembie was born on 20 June 1966 in Swaziland and grew up in Swaziland in the Manzini area. She became interested in agriculture as a young girl seeing her parents working in the fields planting different crops in order to provide food for the family. Her interest in agriculture increased after getting involved with Grain SA. 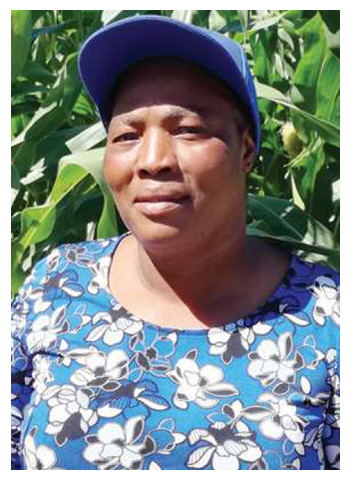 Thembie started planting maize in 2009, but was harvesting a very small yield. In 2014 she joined the Grain SA study group in Breyten. To her this was an eye opener because it is where she managed to gain valuable farming skills. Last year she harvested 5,3 tons and is looking forward to improving even further. She dreams of having her own piece of land where she can plant crops to provide for herself and be able to sell her produce and one day become a sustainable farmer. Alfred was born and raised at Mooiplaas near Elukwatini village in 1958. His father was a farmer and planted maize, groundnuts and sweet potatoes. The money earned from farming helped raise his family. 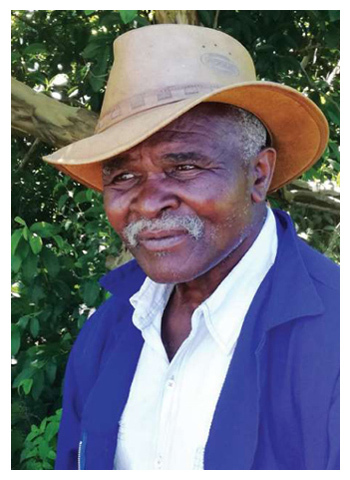 In 1983 he started farming independently with maize and other crops like sweet potatoes and vegetables and used cattle for ploughing his arable lands. Currently Alfred is planting maize and planted 7 ha this year. He is a very progressive farmer who contributes more and more from his own pocket every year under the Jobs Fund Programme. Last year he achieved an average of 6 t/ha on the 7 ha that he planted. Thenjiwe was born at Qolombana Location in the Tsolo District on 1 April 1961. 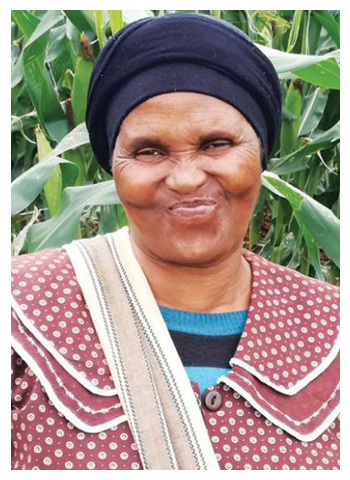 She grew up working in the mealie fields, ploughing with cattle before going to school with her brothers and this is where she developed an interest in agriculture. Since 1982, Thenjiwe is an educator at Ngubesizwe Primary School in the Qumbu District and in 2012 was promoted to principal of the school. This hard-working farmer has managed to harvest good yields of high quality. She is involved with Grain SA as one of the members of the Sityala Sitye Kambi Study Group. Siyavuya was born at Ntlozelo location in the Mbizana village in the Nikhwe administration. This is where he grew up with his family and where he still lives. Siyavuya comes from a farming family and grew up looking after his family's animals with his siblings until he left home to look for work in Welkom in the Free State province. 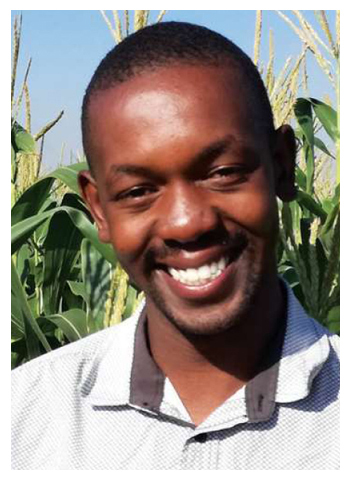 He has a keen interested in livestock and crop production and with the help of Grain SA has great potential in producing more maize, up to between 5 t/ha and 7 t/ha. Currently Siyavuya has planted 2 ha of maize. Amos was born on 18 December 1955 at Paul Pietersburg. He developed an interest in agriculture because he farmed with his grandfather and realised that in order to survive and take care of his family, he should be a farmer. His grandfather farmed with both livestock and cash crops and taught him how to farm properly in order to produce good yields. 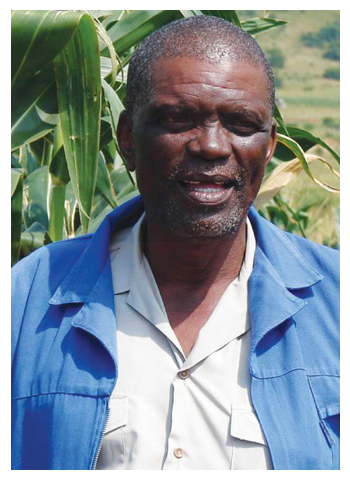 In 2004 until 2008 he joined the Grain SA study group at Oshoek. He re-joined the Grain SA study group again in 2014 as he realised he was not going to improve his farming activities without the assistance of Grain SA and the skills that they instilled in him. Mgezeni was born near Dirksdorp on the farm Twyfelhoek in 1961. He is the third of twelve children. His interest in agriculture started when he was still young and he assisted his father to plough the fields using oxen. This is also where his love for soil originated. Mgezeni also has an interest in livestock and crop production. 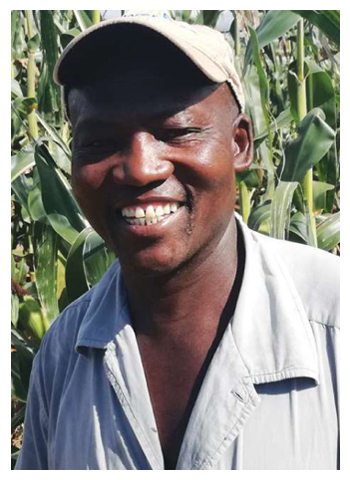 With the help of Grain SA, he has great potential in producing more maize considering that he has improved from planting 1 ha to the 3 ha he currently plants. In the future Mgezeni would like to plant more maize. Nhlanhla was born to Muriel and Aron Mngadi on 3 April 1970 in the Ntabamhlophe Village at Estcourt. 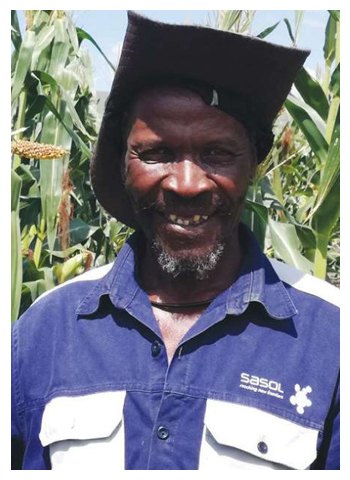 He joined Grain SA in 2015 after he saw the beautiful and healthy maize of Mr Mbatha, his neighbour who was already a member of Grain SA. He needed no further motivation to join Grain SA and has never looked back. Becoming a commercial farmer is Nhlanhla’s dream and together with his brother, they are slowly working towards building up their farming capacity and equipment. They have worked hard implementing what they have learnt. The improvement has not only been in hectares and yields, but also in agricultural practises and efficiency. Mduduzi was born in 1986 in Breyten on the farm Bankfontein. He grew up there and in 2010 started working with his mother on this farm. He sees agriculture as a means of self-employment and a way of getting himself out of poverty. Mduduzi farms under the guidance and mentorship of his neighbour, Corne Butter, and the two of them plan everything together. Three years ago, he became involved in the DRDLR REID Project – first planting 25 ha in the first year, 60 ha in the second year and currently planting 66 ha. Every year has been very successful. Through a lot of determination and hard work this farmer has shown other young farmers what can be done when one is given a chance.